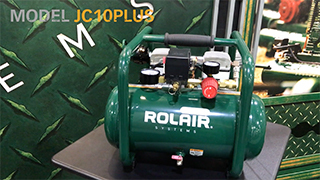 Model JC10PLUS - a super-quiet oilless air compressor - is the follow-up to our wildly popular JC10. The JC10PLUS features a host of improved features including a larger tank, sturdier roll-cage, integrated cord wrap and upward-facing gauges. 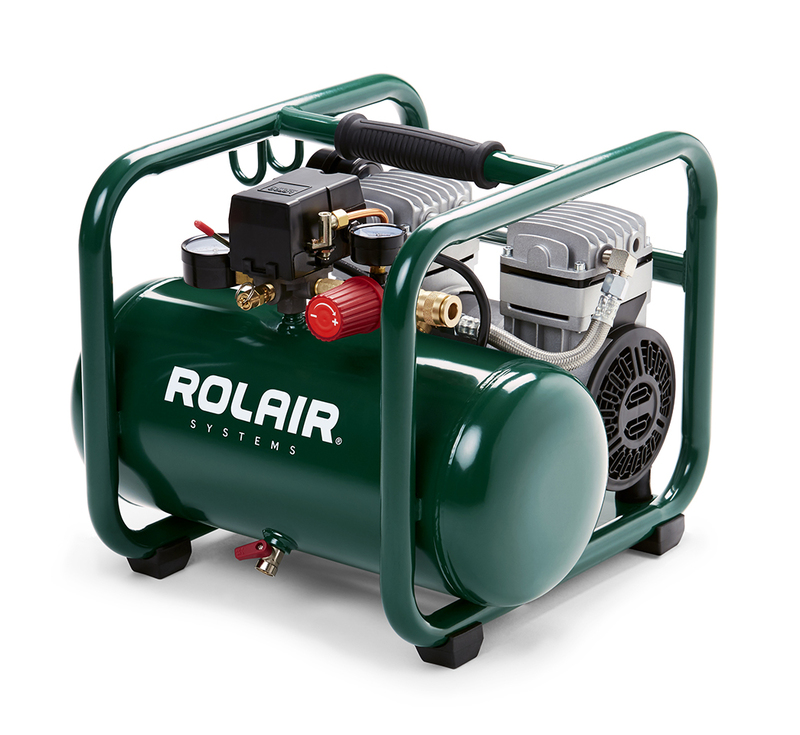 The two-cylinder pump is powered by a 1700 RPM low-amp draw motor for maximum efficiency. 1 HP, 1725 RPM, Low Amp Draw, Automatic Overload Protection, 115 Volt - 60 Hz, Heavy-Duty/Industrial-Grade with Ball Bearings for Greater Durability. Quiet - ONLY 60 decibels!! L x W x H 16.5" x 16.5" x 14"